Do you want to reverse the signs of ageing skin? Do you wish you looked less tired? Would you like to soften tell-tale wrinkles to achieve a fresher, more youthful complexion? Do you need to rejuvenate your skin without a complex and time-consuming regime of cleansers, toners, moisturisers and make-up? Do you want to turn back the clock without resorting to surgery? Do you want your skin to look at its very best for a special occasion? Do you want a treatment that delivers all of the above benefits and is also quick, safe, long-lasting and involves no 'down time'? 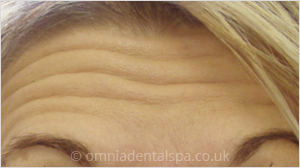 If you answered yes to some, or indeed all, of the questions listed above, you are probably an ideal candidate for treatment with wrinkle relaxing injections – a treatment that is more commonly known as 'botulinum toxin'. 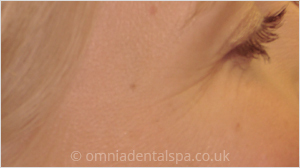 At Omnia Dental Spa, we have helped thousands of clients achieve a fresher, more youthful appearance by carefully listening to their concerns and providing bespoke treatment that is tailored to their individual requirements. 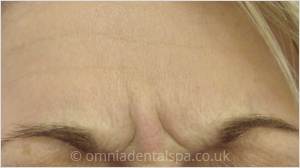 Within Omnia, both Dr Tirj Gidda and Dr Sheila Glaze have undertaken extensive training in facial aesthetics treatments in order to deliver the best possible results for our clients. Both Tirj and Sheila take great pride in consistently delivering fabulous, natural and age-appropriate results to enhance the real you! 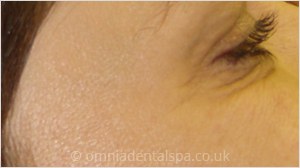 Why choose Omnia Dental Spa for your botulinum toxin treatment? Our Dental Surgeons have excellent manual dexterity, a thorough understanding of head and neck anatomy and a keen appreciation of facial beauty. Moreover, very few alternative practitioners can come close when it comes to injecting with precision using the finest of needles! Omnia offers a friendly, safe and long-established service that has treated thousands of clients from all over the West Midlands over the last 10 years. We have provided Botulinum Toxin treatments for clients from Wythall, Dickens Heath, Solihull, Knowle, Redditch, Bromsgrove, Barnt Green, Birmingham and even as far afield as Manchester and London. Botulinum toxin (Brand names include botulinum toxin® / Dysport® / Azzalure®) is a neurotoxin that blocks the release of acetylcholine. Acetylcholine is the substance responsible for transmitting the electrical impulses that cause a muscle to contract. In medicine, botulinum toxin is injected directly into hyperactive muscles. It has been safely and effectively used for the treatment of strabismus (cross-eye) and blepharospasm (eyelid spasm/twitching) since the early eighties i.e. for over 25 years. 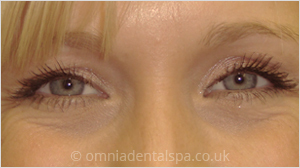 Botulinum toxin has an excellent safety record when administered by a qualified and experienced practitioner. Hyperactivity of the facial expression muscles often results in the development of deep vertical frown lines (between the eyebrows), horizontal forehead lines and/or crows feet (radiating out from the corners of the eyes). Lines and wrinkles are a normal part of the ageing process, but they can make you look more tired, angry or older than you really are. 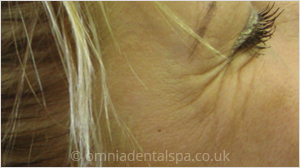 Injecting botulinum toxin into the affected area temporarily relaxes the underlying muscles responsible for the wrinkling. As the muscles relax, the overlying skin smoothes out and this gives the face a more relaxed and pleasant appearance. Since the skin is no longer being constantly creased by muscle contraction, the skin is allowed time to recover and the wrinkles become smoother or disappear altogether. 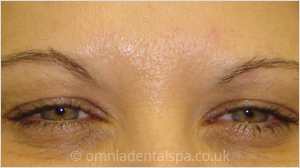 Botulinum toxin is recognised as one of the safest cosmetic treatments available. Side effects are rarely serious and, due to the nature of the treatment, are always temporary. As a result, botulinum toxin is now the most popular cosmetic treatment in the world. 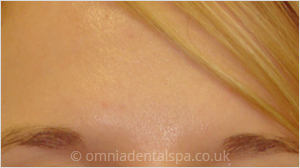 What does botulinum toxin treatment involve? 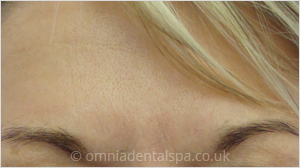 Treatment usually takes around 10-15 minutes and involves several tiny injections, with a very fine needle, around the facial areas to be treated. The treatment is not painful, with only minimal and brief discomfort, a little like a small sting. The injections precisely target specific muscles to reduce unwanted muscle activity whilst untreated facial muscles retain full movement so that facial expressions remain natural. The initial effects of treatment become visible within 48-72 hours (2-3 days). The maximum effect is achieved in about 1-2 weeks. Your facial expression will become more relaxed but by no means mask-like. The overall result is very natural. The effects of treatment normally last for 3-4 months. Re-treatment is then necessary, although over time the effects tend to last longer and lower dosages are required as the facial muscles are re-trained to their new relaxed state. 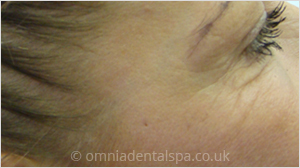 Botulinum toxin injections are generally a very safe and effective facial treatment. However, certain side effects can occur but, like the intended treatment effects, they are generally completely reversible. These potential side effects are rare when careful attention is paid to the dose, injection site and the muscular anatomy of the face. Is botulinum toxin suitable for me? 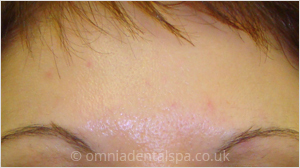 Botulinum toxin treatment is suitable for the vast majority of patients (men as well as women!). However some patients with certain health conditions or those taking certain medications are not able to have this treatment. Dr Tirj Gidda and Dr Sheila Glaze will always undertake a thorough medical history and facial assessment to ensure that you are a suitable candidate for treatment. Can men have botulinum toxin treatment? Yes. botulinum toxin is equally effective for men and women. However, men will usually require a slightly higher dose due to their stronger muscle contractions. Can botulinum toxin help to prevent me getting wrinkles? Yes, absolutely. botulinum toxin is well-known for removing or reducing wrinkles, but it is also excellent for the prevention of lines and wrinkles. As we get older our skin progressively loses its elasticity. 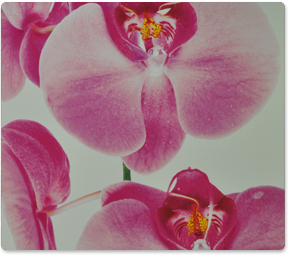 As a result our skin gradually loses its ability to 'spring' back to its original state. Consequently, repeated creasing of the skin caused by muscle contractions, for example frowning, can cause lines or wrinkles to appear. However, if botulinum toxin is used to prevent excessive frowning then the lines and wrinkles will not develop in the first place. 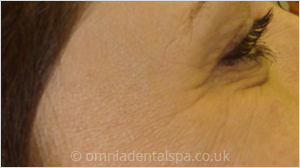 Will botulinum toxin work on all lines and wrinkles? botulinum toxin is very effective at reducing or removing 'dynamic lines' (finer lines and wrinkles caused by muscle contraction). However, deeper lines and lines that have been present for many years may not be completely removed. 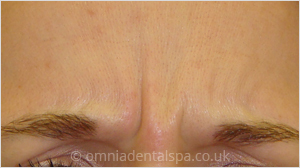 Such lines, that are visible at rest, can usually be effectively treated with dermal fillers. 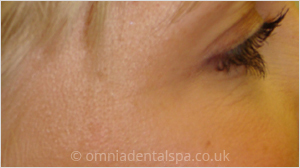 Please refer to the dermal fillers section of our website for further information. 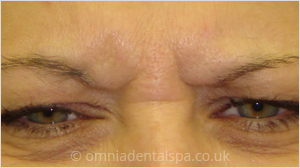 Will my lines get worse if I do not continue with botulinum toxin treatment? 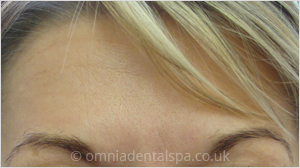 No, lines will gradually revert back to their pre-treatment appearance over a period of several months as the effects of the botulinum toxin wear off. Inevitably, continued normal muscle activity will make the lines or wrinkles worse over time if no further treatment is undertaken. Who cannot have botulinum toxin therapy? 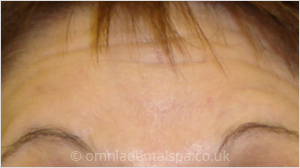 The cost of the treatment depends on the number of 'areas' of the face treated and the dose (units) of botulinum toxin required. The table below provides a guide based on the 'average' patient's requirements. Please contact the practice reception team in order to arrange a botulinum toxin assessment appointment with either Dr Gidda or Dr Glaze. This will give you an opportunity to ask any further questions and also discuss your specific requirements. The cost of the assessment is £25.00 and this will be deducted from the cost of your treatment should you decide to proceed. 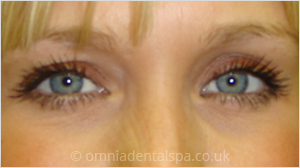 Telephone Omnia Dental Spa on 01564 822 224 and book a botulinum toxin assessment appointment OR alternatively . . . Call in to the practice reception and book an appointment in person. We look forward to seeing you soon !